Download a new Kindle book today. Links to some books on Urban gardening. Even with the amount of space available it is still possible to grow your own food in your own home. If you have a window sill, a skylight or balcony you can grow successfully all year round. 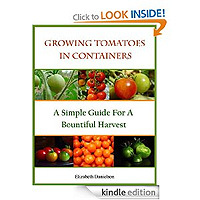 With this in mind this weeks books are ways to explore this hobby and offers some traditional and more experimental ways to garden in your own home. The following books have all been advertised on Amazon this week. 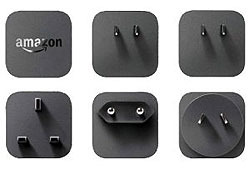 They can all be downloaded from Amazon on this page. This is a comprehensive handbook for the total novice and the practiced gardener alike, covering all aspects of the subject to ensure you can reap the rewards with your home-grown fruit, vegetables and herbs. 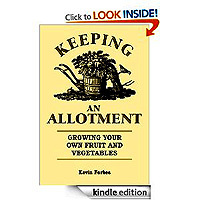 Offering invaluable information on soils, fertilizers, tools and pest control, this book also includes a month-by-month calendar to enable gardeners to keep on top of their essential tasks. This all-absorbing hobby offers fantastic benefits, both nutritionally and financially, as well as encouraging the consumption of local produce and inspiring community projects. Kevin Forbes has a wide knowledge of horticulture and the countryside, and has skills in a number of rural hobbies. He puts down his love of gardening and nature to his mother, whose enthusiasm has rubbed off on him. So you want to start keeping bees? Where does a newbee or hobbyist place their bee hives? The back yard is the most obvious choice, but there are many factors, including municipal ordinances and relations with the neighbours. Urban bee keeping is on the rise and roof top apiaries are becoming popular. Still, there are several factors that limit and define the most successful apiary site selection. Grant Gillard, a bee keeper since 1981, keeps 200 hives in south east Missouri on over 30 locations, sometimes called "out yards." 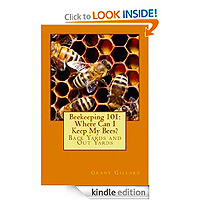 In this manuscript, Grant details what makes for the ideal location for the bees, plus cites a number of other criteria helpful to the bee keeper. Just like in real estate, the admonition of "location, location, location," rings true for the honey bee and honey production. 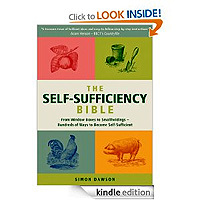 In today's economic climate, self-sufficiency is increasingly seen as a viable means of taking control of our lives and safeguarding for the future – this is the book that will help every householder do just that. Each of the twelve chapters focuses on key topics for living a more self-sustainable life, with practical information and expert guidance that will make the subject come alive for everyone, whatever their needs, circumstances and resources. This means that the gardening chapter, for example, is appropriate both for people with an urban back yard or a more substantial plot of land. Written in a down-to-earth, engaging and often amusing style, the book will appeal to single people as much as to those with large families, to women who want to be more creative, resourceful and independent, to men who want to rediscover their inner ‘hunter-gatherer’, and to parents looking to equip their children with basic life skills. The stylish leather case looks impressive and offers protection against impacts. 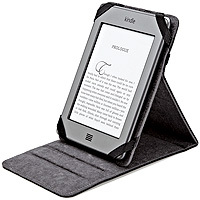 The soft microfibre interior protects against scratches and the corner straps securely hold your Kindle in place. When you are not using your Kindle, the exterior elastic strap secures the folio cover on your Kindle to keep it safe. Tomatoes! The king of the garden and the most popular of all home grown vegetables. It's no wonder because there is nothing like a juicy, succulent tomato picked right off the vine. Even better is when that vine is right outside your own kitchen door. This is the one step-by-step guide that will have you growing tomatoes in containers like a pro. The easy to follow steps will take you all the way from finding the best location for your containers to a reaping a bountiful harvest and everything in between. Jam-packed with information that you will want to refer to time and again throughout the growing season. "If you live in the city or even the suburbs and have limited gardening space, vertical gardening is the perfect technique for you. 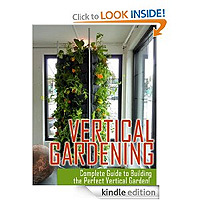 This book is suitable for both beginning and seasoned gardeners who have yet to try vertical gardening. There is spot on advice starting with planning and building a vertical garden, all the way through planting and maintenance of such a garden. the phrase "vertical gardening." It refers to gardening with very limited space, such as in an urban setting. It's all about making plants grow upwards. Gardening is not farming: its focus is primarily an aesthetics and secondarily on food production.